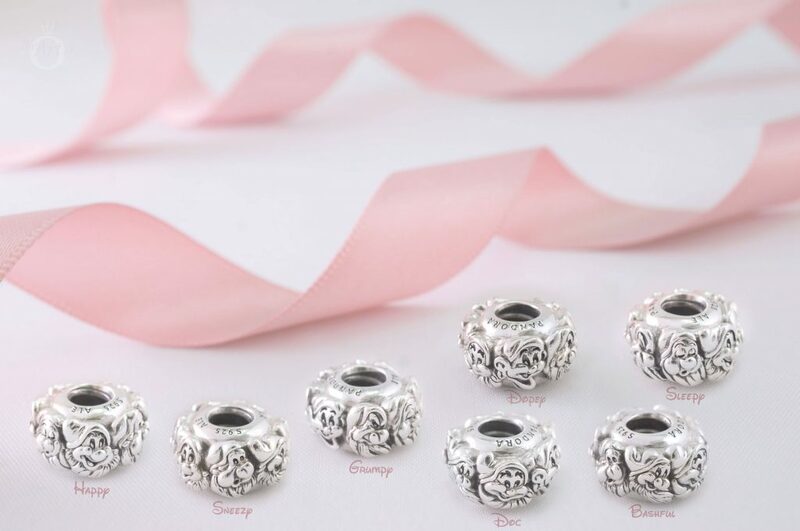 The Seven Dwarfs fill this silver spacer charm with their big personalities! Delightful caricatures of Snow White’s seven friends encircle the fun PANDORA Disney Seven Dwarfs All Around Spacer (797491). 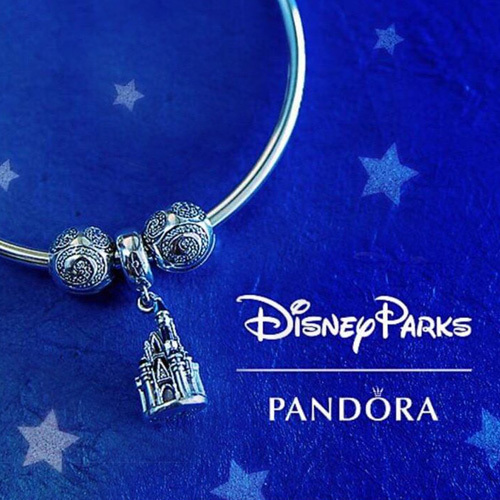 Released in the PANDORA Winter 2018 Collection along with the sparkling Snow White’s Bird (797166CZ) charm, the Seven Dwarfs All Around Spacer is a charming addition to my PANDORA Disney collection! 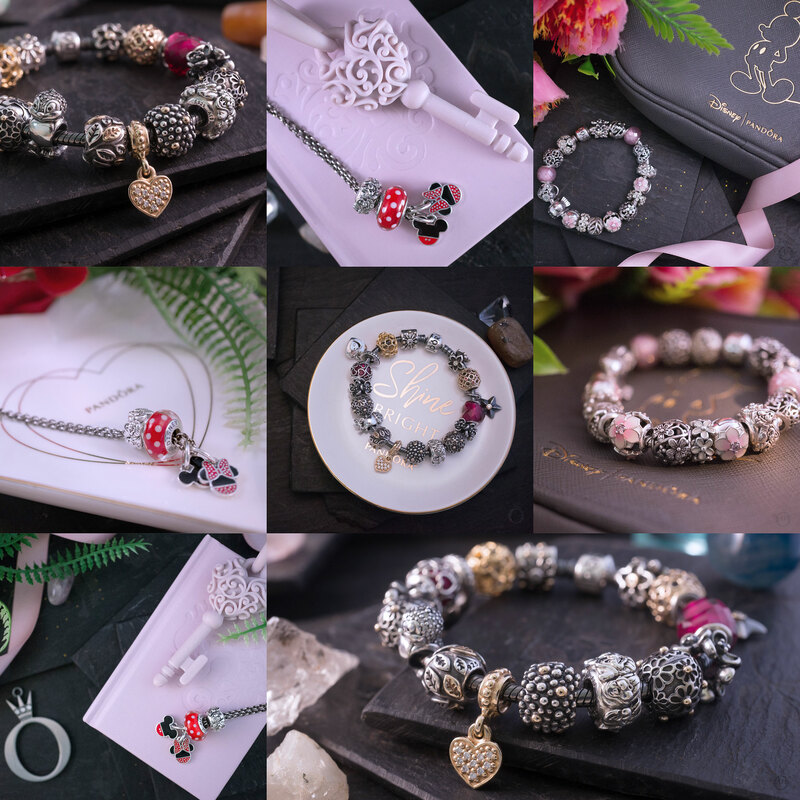 Although the PANDORA x Disney jewellery is relatively new in PANDORA’s 37 year history, the Seven Dwarfs All Around Spacer possesses PANDORA’s trademark attention to detail. Each of the seven dwarfs is easy to distinguish by their distinct traits. 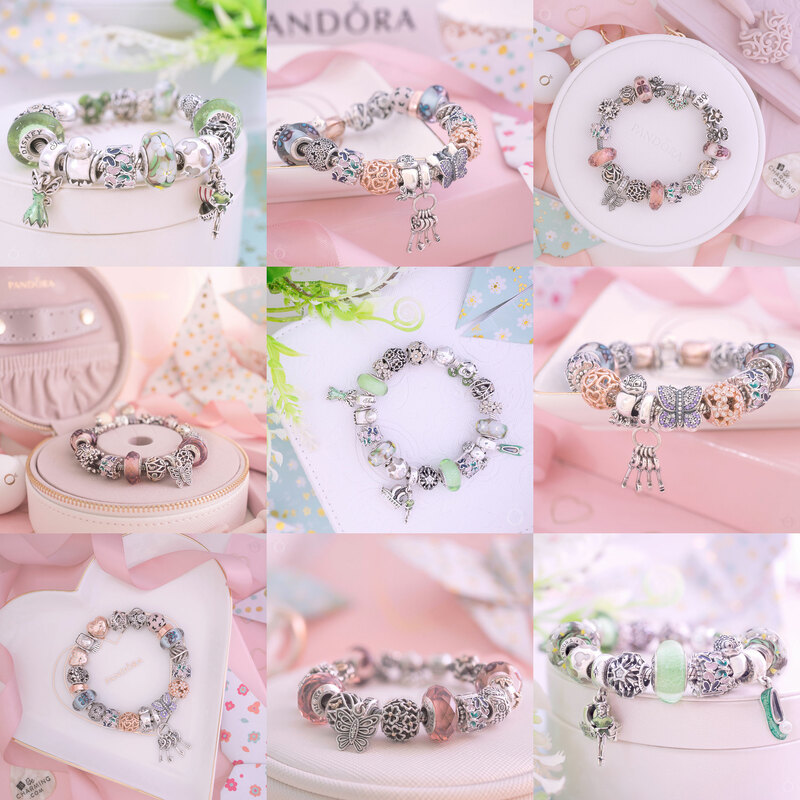 In recent PANDORA collections, it has been noted that the silver charms were increasingly more shiny. However the Seven Dwarfs All Around Spacer contains just the right amount of oxidisation to highlight the dwarfs expressions. 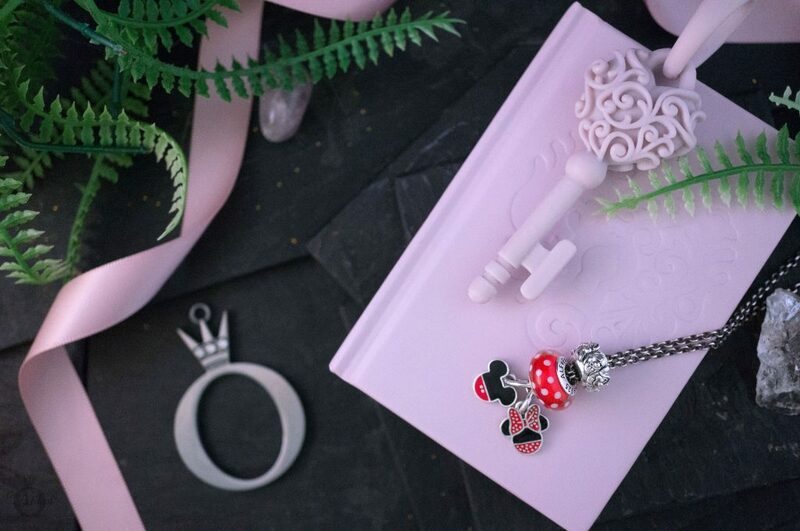 Measuring 6.8mm wide, the Seven Dwarfs All Around spacer is just a couple of milimetres smaller than the Snow White’s Bird charm. 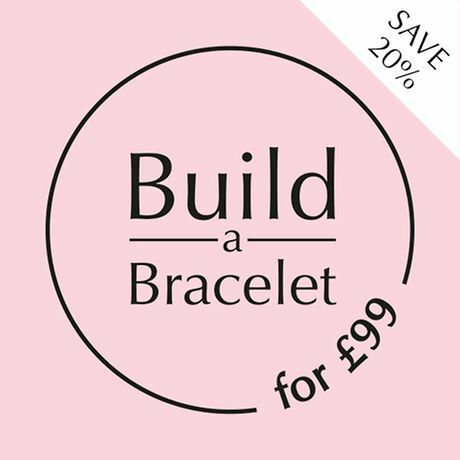 Technically described as a spacer, I view it more as a slim charm! One side of the Seven Dwarfs All Around Spacer is engraved with the standard ‘PANDORA’ and ‘S925 ALE’ hallmarks and ‘Disney©’ is stamped on the other side. 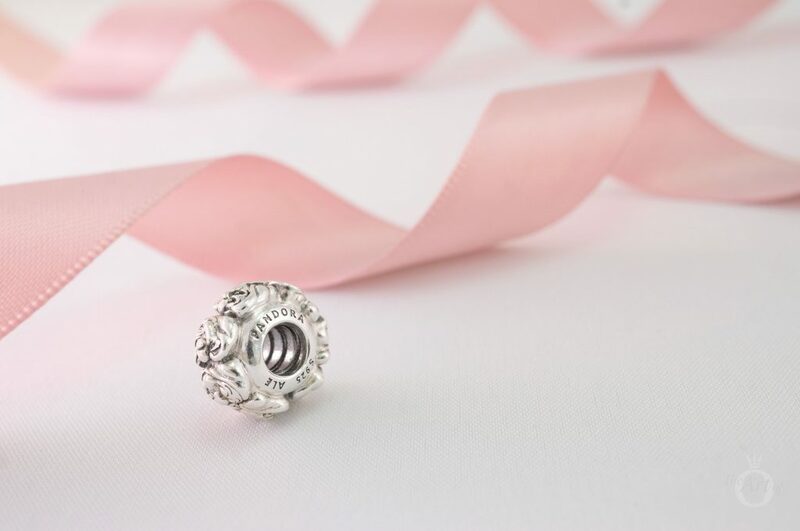 Beautiful oxidisation combined with a threaded core produces a lovely solid silver charm with classic PANDORA style. My first style with the PANDORA Disney Seven Dwarfs All Around spacer is inspired by the new Seven Dwarfs Mine Train rollercoaster at Disney World. Brightly coloured jewels await discovery within the dark mine at the ride’s entrance. 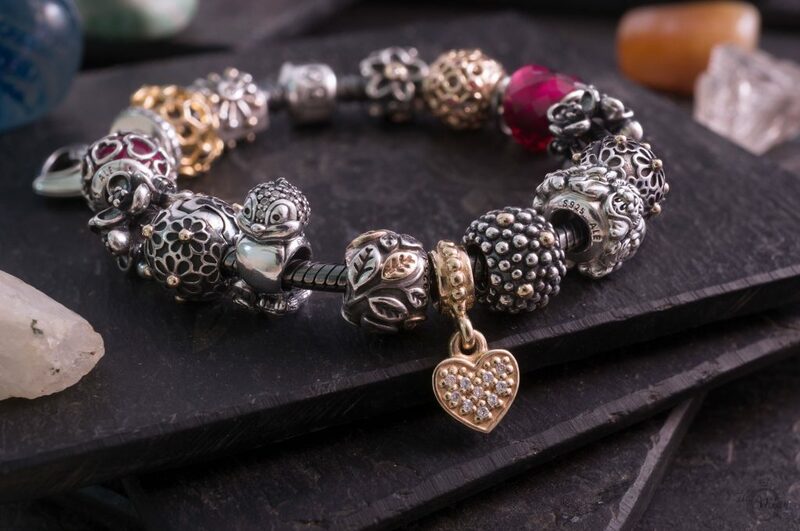 Sparkling rubies are represented by the Cerise Encased in Love (792036NCC) and Fuchsia Shape of Love (796563NFR) charms. 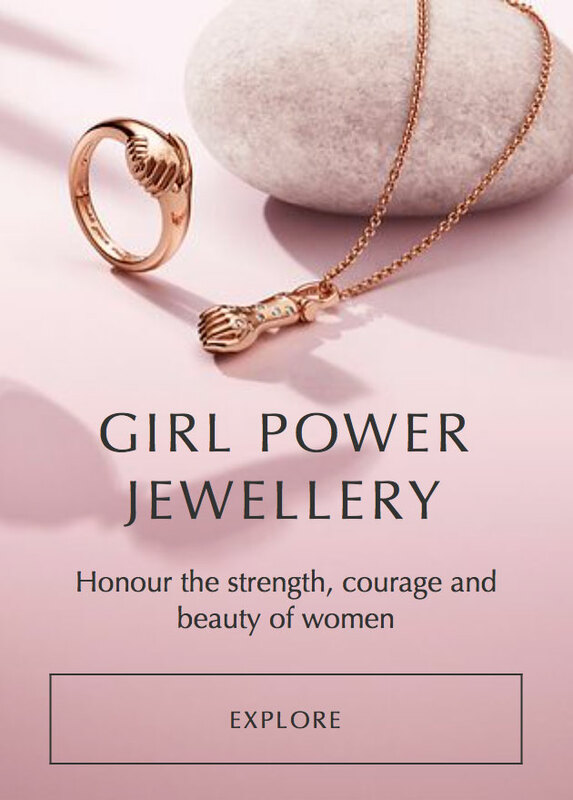 The precious 14k Gold Heart Pendant (750809D) and Celtic Circles (750811TPK) charm glow seductively against the slate grey Oxidised Moments Bracelet (590702OX). 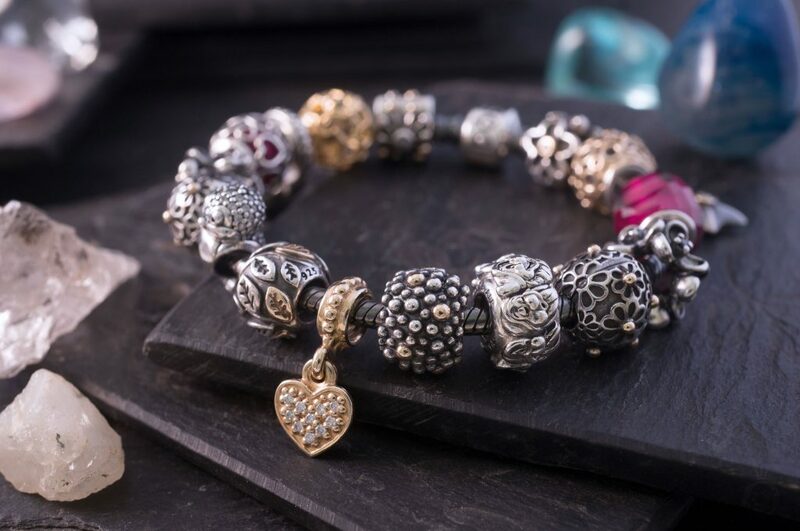 The retired PANDORA Oxidised Moments Bracelet is currently available at the special price of just $45.50 USD at BeCharming.com. 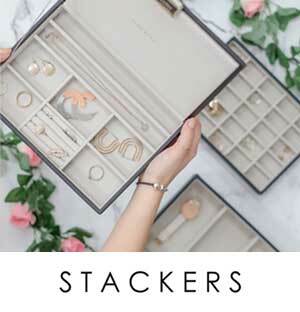 My second styling with the PANDORA Disney Seven Dwarfs All Around spacer is dedicated to Sneezy and anyone else who suffers with hay fever in the Spring! 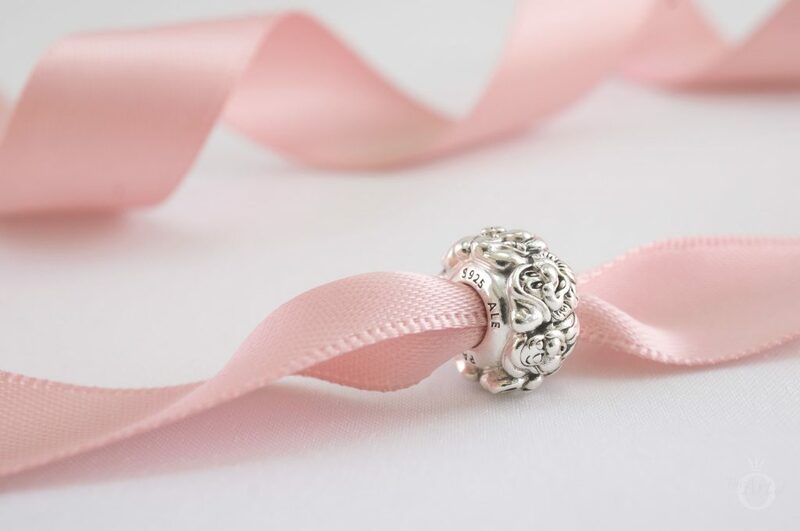 The classic silver PANDORA Moments Bracelet (590702HV) provides a simple background for this fresh floral design. 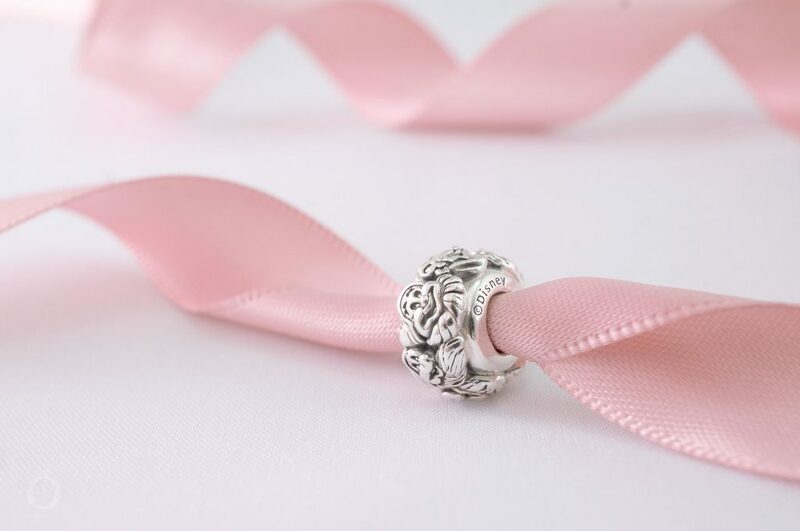 While the hand painted pink enamel on the Magnolia Bloom Clips (792078PCZ) and matching Magnolia Bloom Charm (792087PCZ) adds a feminine touch. 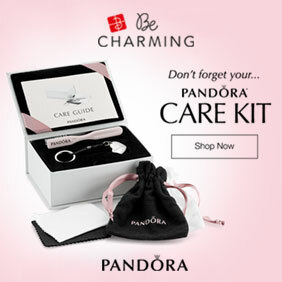 Combined with the dainty Darling Daisy Spacers (791495EN12) and the Pink Petite Facet (791499PCZ) charms, this look has a beautiful cherry blossom feel. 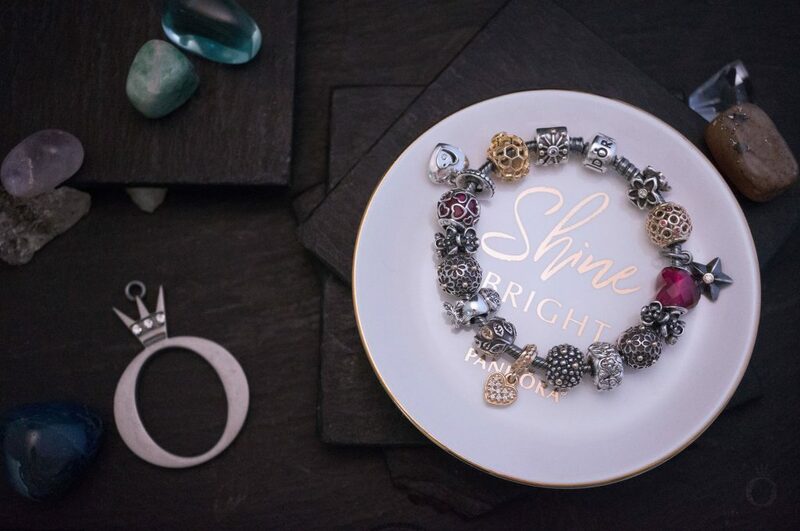 The various coloured Petite Facet charms are the perfect way to add a pop of colour to your bracelet design and the Pink Petite Facets are currently available for $38.50 at BeCharming.com. Happy: This is Dopey. He don’t talk none. Snow White: You mean he can’t talk? Happy: He don’t know. He never tried! Magic Mirror: Lips red as the rose, hair black as ebony, skin white as snow. 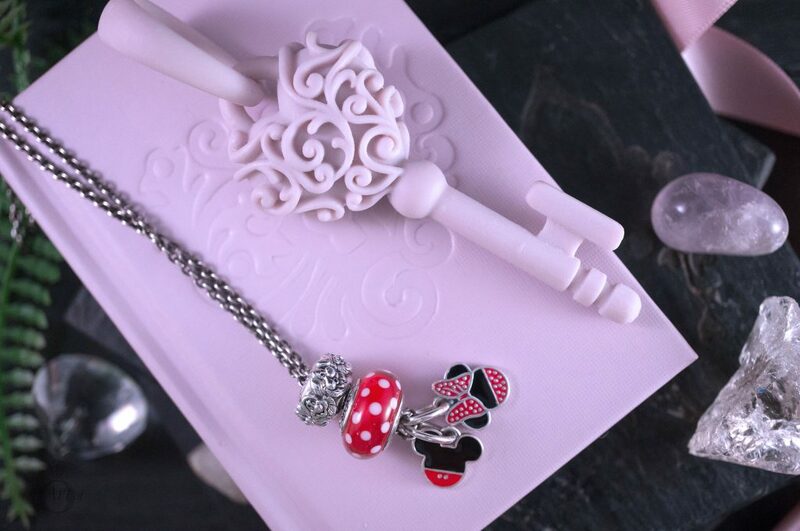 My final design with the PANDORA Disney Seven Dwarfs All Around spacer is a simple necklace styling. Not all charms work well on a necklace chain but this spacer is ideal as the dwarfs faces all face one direction thus it can be worn horizontally. At 45cm, the understated PANDORA Necklace Chain (590412) is the perfect length chain for me as long necklaces are not my personal taste. 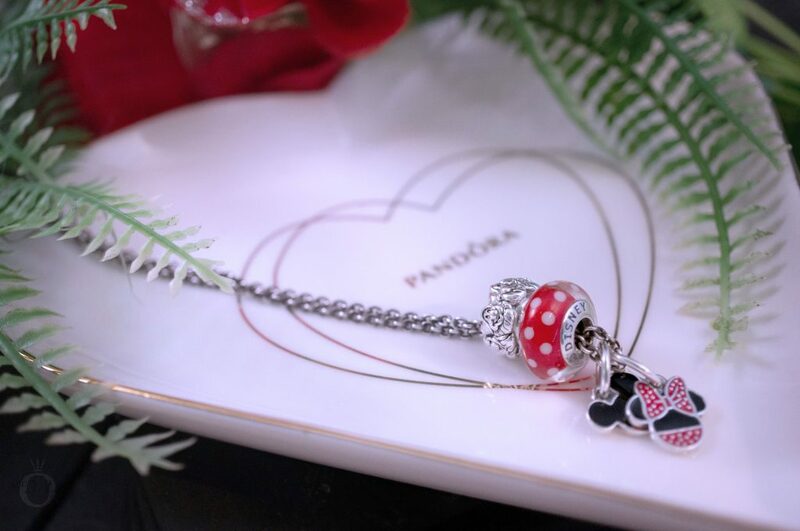 The bright red PANDORA Disney Minnie’s Signature Look Murano (791635) provides a fun division between the Seven Dwarfs All Around Spacer and the cute Mickey (791461ENMX) and Minnie Icon (791460ENMX) Pendants. 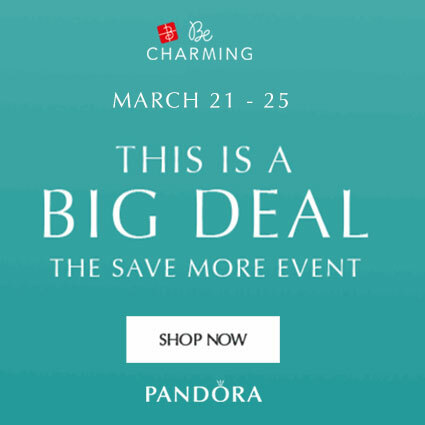 Both the PANDORA Disney Mickey and Minnie Icon Pendants are currently on sale at Rue La La for just $22.99. They are now retired so be quick before they are gone for good! My verdict on the PANDORA Disney Seven Dwarfs All Around Spacer? It’s adorable! Just like a doll’s house! The highly detailed faces and expressions of the dwarfs make this delightful spacer charm deserve 10/10 for design and value. As it is quite small it needs to be looked at closely to fully appreciate it, thus I have only given it 7 points for wow factor. 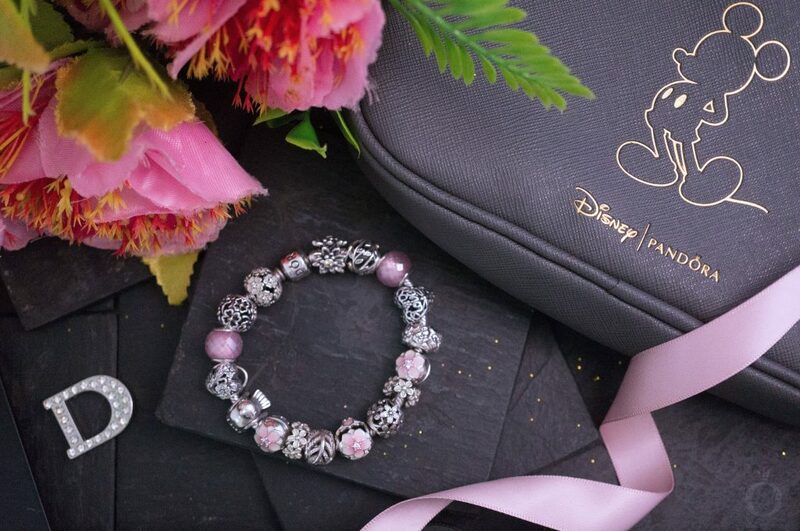 Although I personally think it is quite versatile and have shown how it can be styled on a necklace, the Disney aspect might make some fans limit it only to Disney themed bracelets. 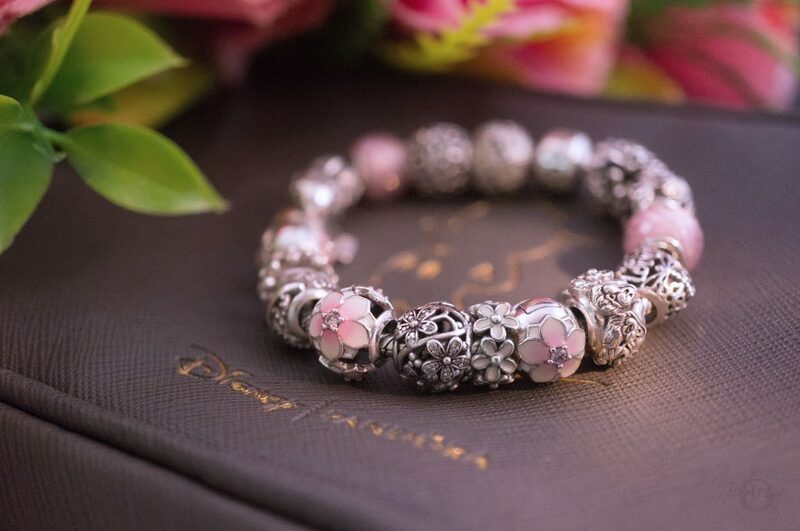 In the USA the PANDORA Disney Seven Dwarfs All Around Spacer (797491) is $40 and available from our preferred PANDORA retailer BeCharming.com. 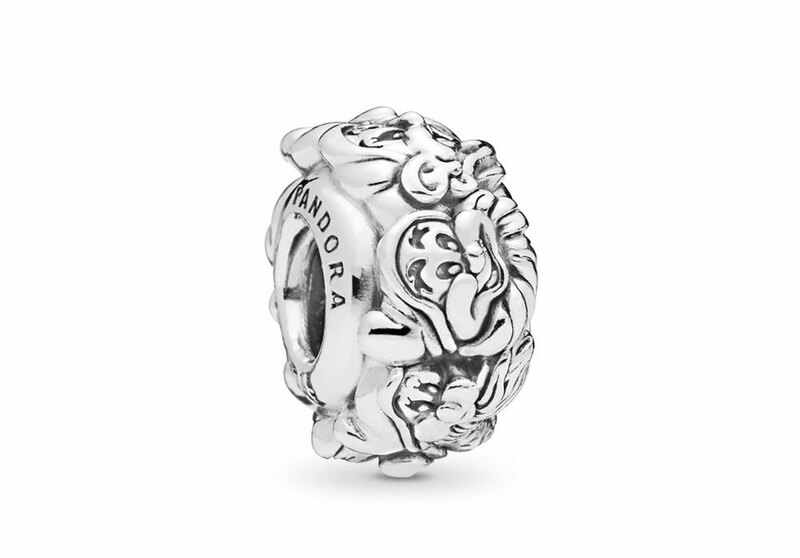 In the UK the PANDORA Disney Seven Dwarfs All Around Spacer (797491) is £30 and is available from the UK PANDORA eStore. Thank you so much! I’m glad you enjoyed the review and images. I tried to recreate a dark mine feel, hence the slate backgrounds. I loved the Mine Train at Disney too but my favourite rollercoaster is the Expedition Everest in Animal Kingdom! We went on it at the front and it is fantastic!